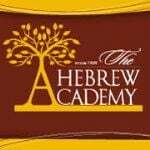 We are very proud of your progress at the Hebrew Academy and the knowledge that you have gained at the school. The highest ideal is to put your knowledge into action by making the world a better place where the Divine will rest. We are taught, "Aniyei Ircha Kodmin - charity begins at home." The ideal place to show your appreciation is right here in school. 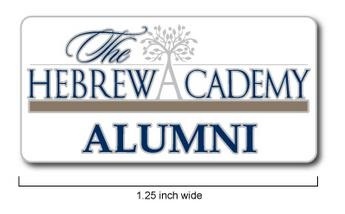 For that reason we are asking our students to take an alumni pledge, a commitment to take the integral lessons of the Hebrew Academy, with you, into the next place you go. It is also a pledge to give back to the school that has shaped you into the wonderful scholar that you are today. You have the opportunity to start your charitable spirit right here at your school. a) To bring honor to our Torah and to the ideals of the Hebrew Academy by living up to these core values. b) To remain connected with the Hebrew Academy by keeping in contact with my classmates and attending events. c) To express these values into my life by giving back to the Hebrew Academy in appreciation.